NO. 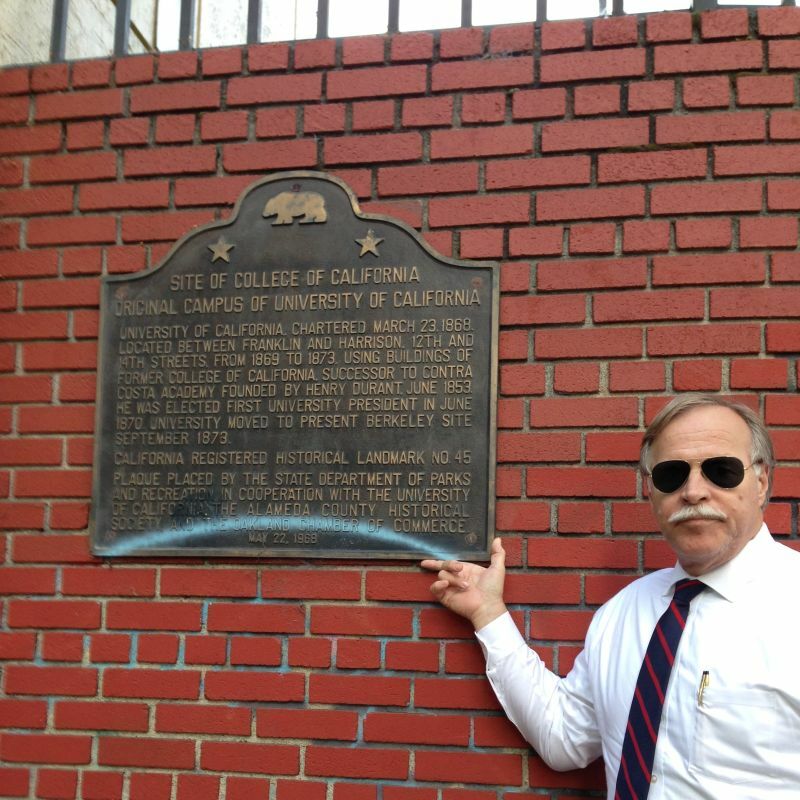 45 SITE OF COLLEGE OF CALIFORNIA - The University of California, chartered March 23, 1868, used buildings of the former College of California between Franklin and Harrison and 12th and 14th Streets from 1869 to 1873. Henry Durant, who founded the Contra Costa Academy in June 1853, was elected first university president in June 1870. 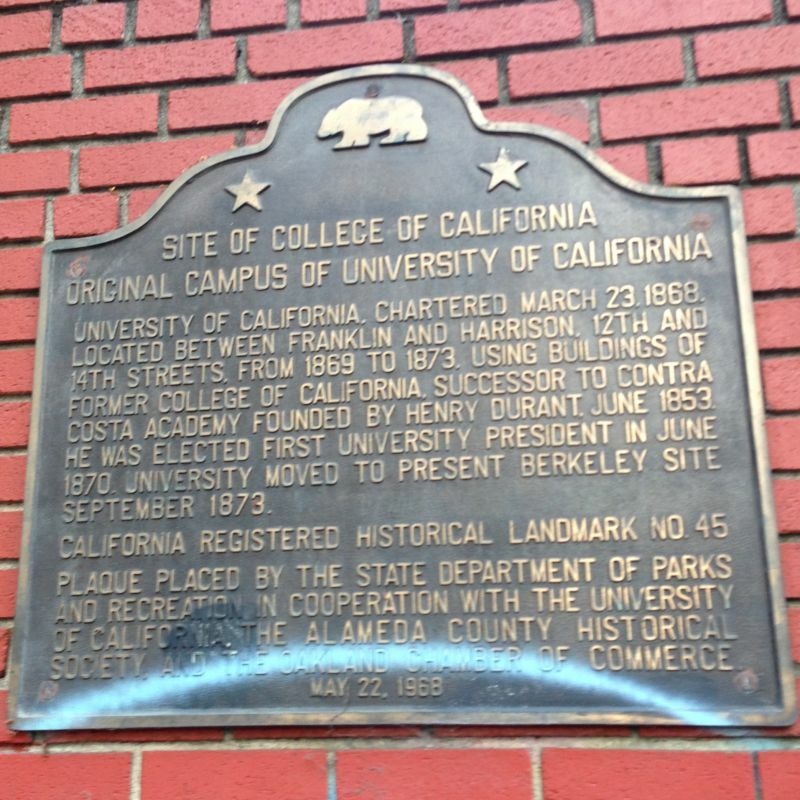 The university moved to its present site in Berkeley in September 1873.